As I mentioned in our “About Us”, my husband Kevin & I are constantly searching for ways to improve the lives of others through our actions and by default improve ours. We desire to get back to the good ole days and go about our lives making sure everyone who we come in contact with knows they are special to us. Oh, and for the title of this post, those are nicknames we were given by close friends back in high school. Our friend Joe always called me Sweet T because I could never say no to a good extra sweetened iced tea. And for Goat, well it’s a play off of Kevin’s last name. Fast forward through 3 years of a long distance relationship, mutiple college degrees, and 3.5 years of actually living in the same town as “grown-ups”…k, go! A key point in our lives occurred last May, cinco de mayo to be exact, when Kevin and I committed our lives together on Khimaira Farm in Luray, VA (which is a goat farm ironically) in front of our most specialist family and friends. While a rollercoaster of emotions, the entire planning process for the two of us gave us the opportunity to look inside of ourselves and decide what it was we wanted to portray to all these special people in our lives. To us, our wedding and marriage wasn’t simply an excuse to throw a party, it was a way to show how much we care for all of the people who took the time to be there for us. We completely agreed on designing our theme around “growth” and displaying that if it weren’t for each and every person there that day for us, we may not have grown into who we are individually and as a couple. The entire weekend was pulled off due to A LOT of help from friends and family, but it gave every step of the way a very personal feel. Not to mention, it proved to us just how much they all cared about us! Kevin’s sister Amy made our cupcakes and cake for cutting, Laurel designed my headpiece, sash, and earrings, my cousin Sarah designed and sewed the flower girls and ring bearer dresses, Molly and Nick recorded our ceremony and reception, Matt emceed the reception and kept the music blasting all the night, Andy played our first dance song, my dad cooked wedding day breakfast for the wedding party as well as for our post-wedding Sunday brunch…the list seriously goes on forever and we couldn’t have done it without them! The most important part of the weekend took place under the guidance of our wonderful Reverends Elisheva and Wade Clegg. We knew when we first met them they would be special people in our lives and create a ceremony the truly touched on our personalities and feelings. Our main goal for the ceremony was the same as for the rest of the wedding: make it personal and reach out to our guests to let them know how highly we regard our relationships with them. It was tremendous to hear from our guests how beautiful their words were and that it was the most personal ceremony they’d ever heard. I guess you could say they nailed it! 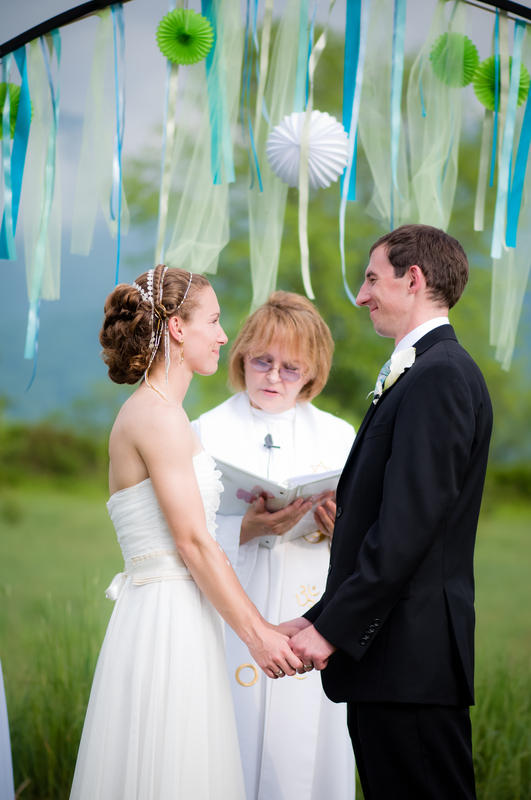 Our take home point from our wedding was this: let this be a time that signifies a momentous milestone in a journey you’ve traveled not only with your spouse but also your supportive family and friends. 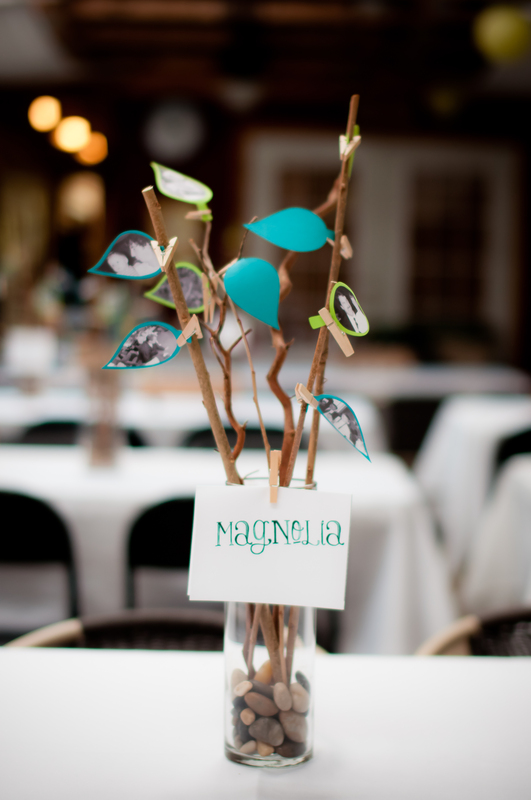 The weddings people remember are the ones that make them feel special. which isn’t always indicative of a high price tag. Our journey as wife and husband has just begun, and let me tell you it has already given us plenty of challenges to make ourselves better individuals and partners! We are determined to experience more enriched and loving lives every day! Our beautiful flower girls and ring bearers. They were so great that day! 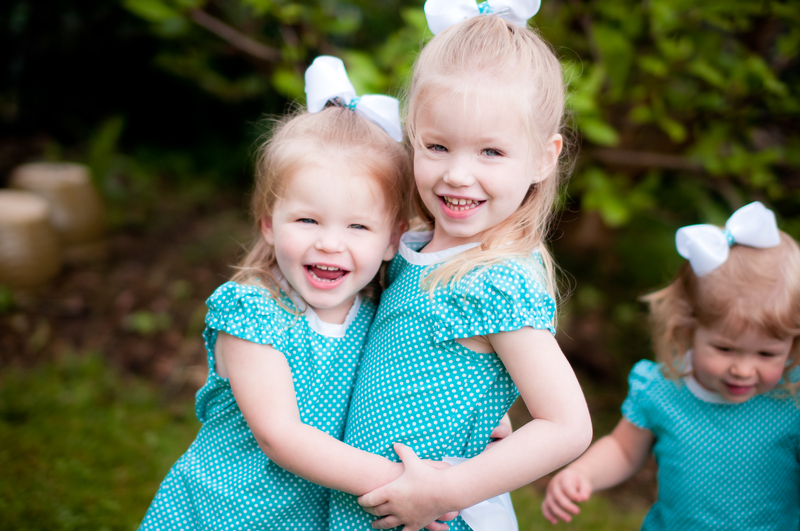 Our nieces are too stinkin’ cute! 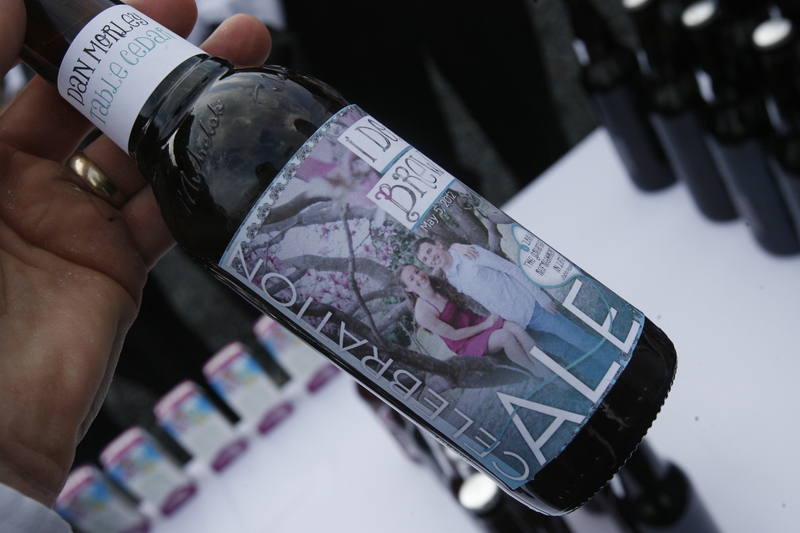 Wedding favors: homebrew made by our dads and Kevin with a personal message attached. Because Kevin’s an artist by nature and Art Director by education, he designed all of our print items: save the dates, invitations, programs, favor labels, etc. It definitely added a wonderful loving feel. Amy’s tower of deliciousness! 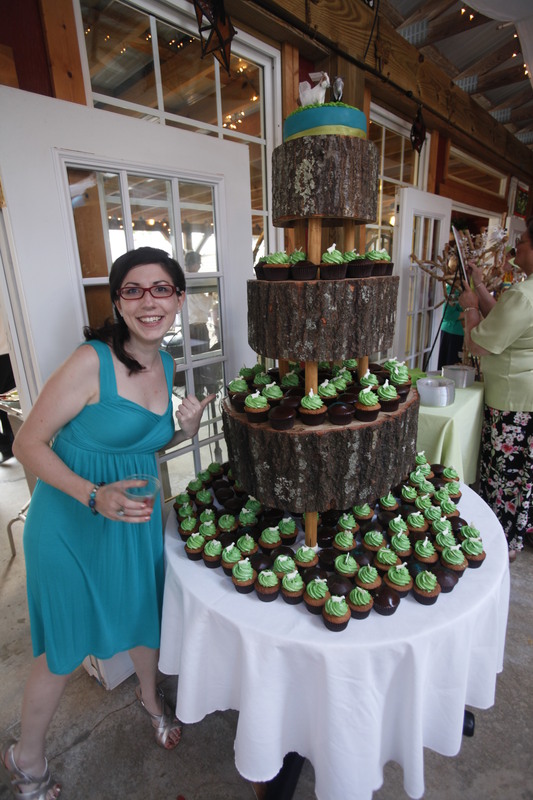 Even the cupcake holder was homemade by Kevin’s dad out of a fallen tree stump. These Goats are crafty ones I tell you. 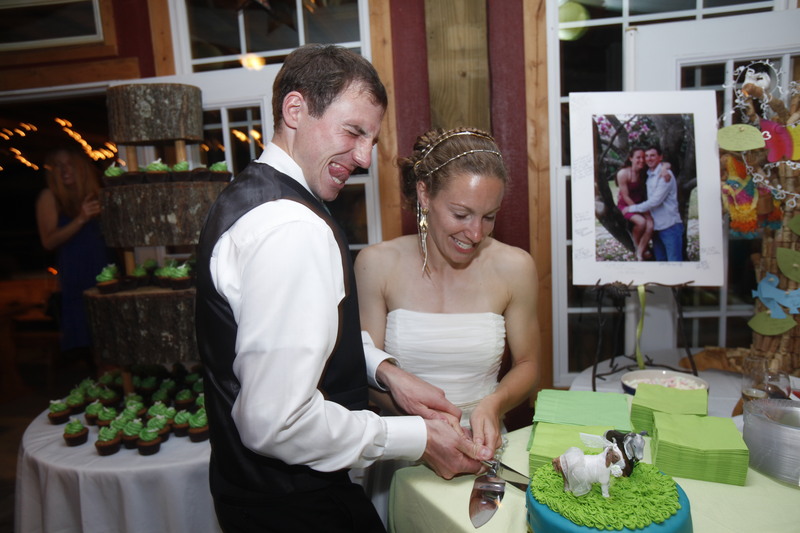 Cutting the goat cake, which was a little tougher than we imagined. Amy even designed the goat bride and groom toppers. This girl’s got it going on! This entry was posted in Uncategorized and tagged DIY, growth, wedding planning on January 29, 2013 by caffreem.